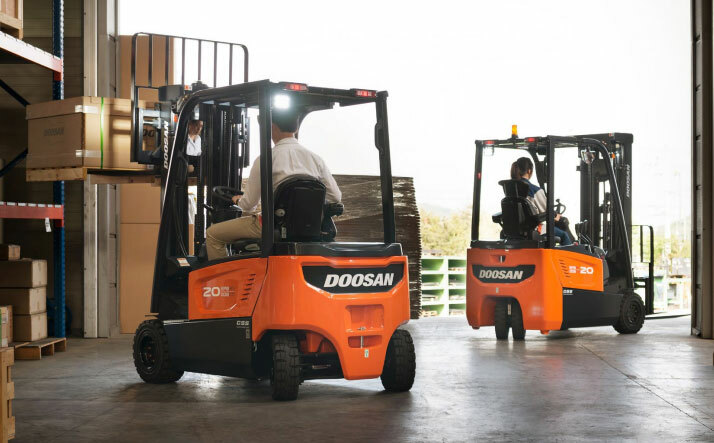 Our 7 Series 4 wheel counter balance forklift trucks continue the Doosan tradition of delivering simple, powerful performance, at the best possible value for our customers. Adds to safety, comfort and convenience when traveling in reverse. 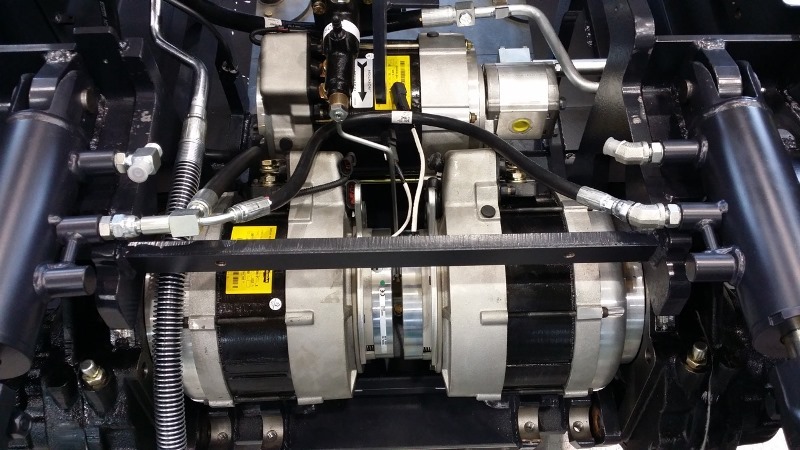 The Electro-magnetic Auto Parking Brake (EPB), prevents the forklift from rolling back if parked on slopes, allowing the operator to safely get out without braking. If the operator keys off, or gets off the seat, the hydraulic lift and tilt locking system will limit the motion of the truck. Hydraulic locks prevent hydraulic lift when lowering and tilting. 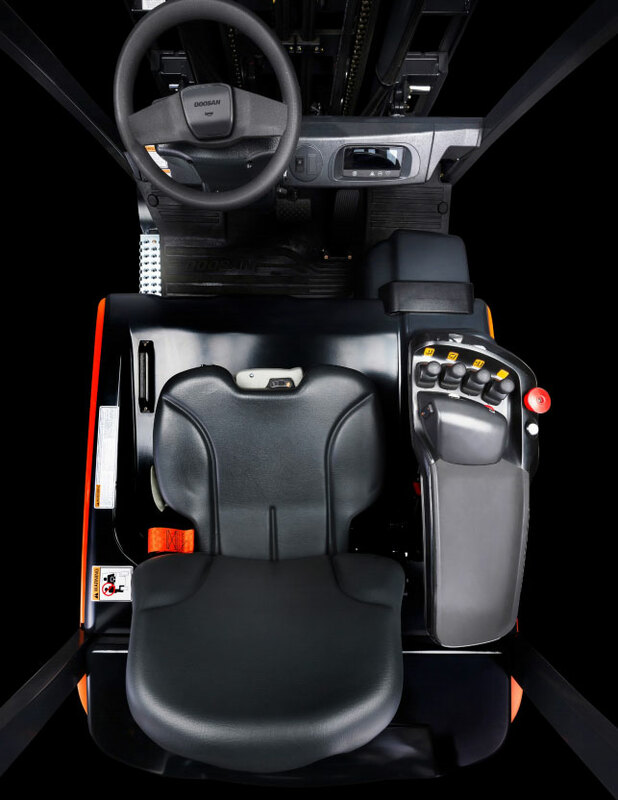 The steering column, full suspension comfort seat, armrest and even the optional headrest are all fully adjustable to accommodate any operators’ individual preferences. The all-new Finger-tip Controls: Optimal ergonomics giving optimal performance. 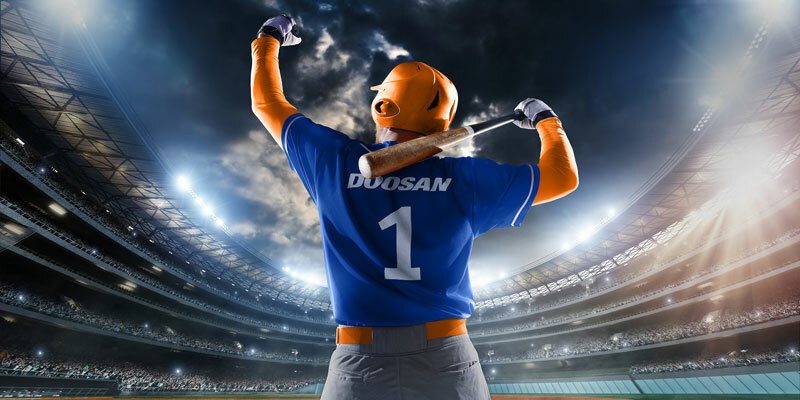 These fast, precise and instinctive controllers make operating the new Doosan 7 Series effortless and efficient. Extended maintenance intervals and advanced technology componentry reduce the overall cost of maintenance. Curtis controller, reliable stable operation. IP65 rated. Virtually maintenance free, ODB is standard equipment for the 7 Series 4 wheel electric forklifts. The enclosed system eliminates outside contamination, thus can last 5 times as long as conventional brake shoes. Effective storage is the primary goal for many warehouse managers. Our 4 wheel models have steer axles that turn 86°, enabling the machines to maneuver with ease even in the tightest spaces. 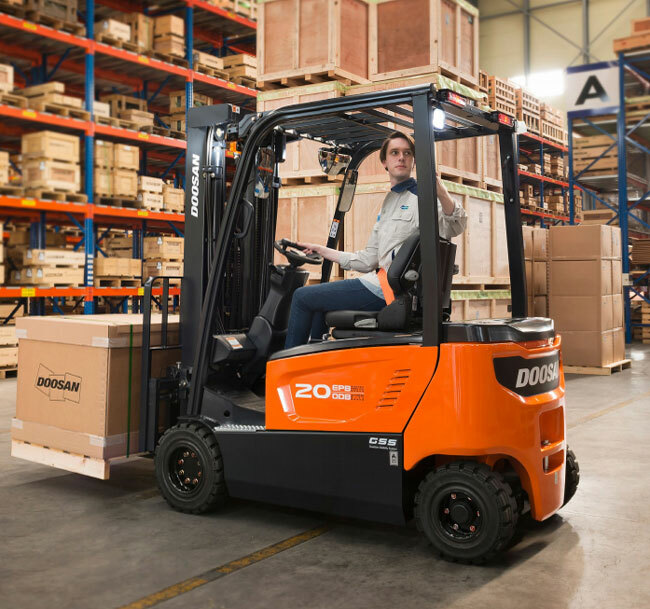 The Doosan 7 Series electric forklifts are waterproof and are safe for outdoor use. The sealed controllers are rated IP65 and the motors are rated IP43, with all related wiring & connectors being silicon-sealed.